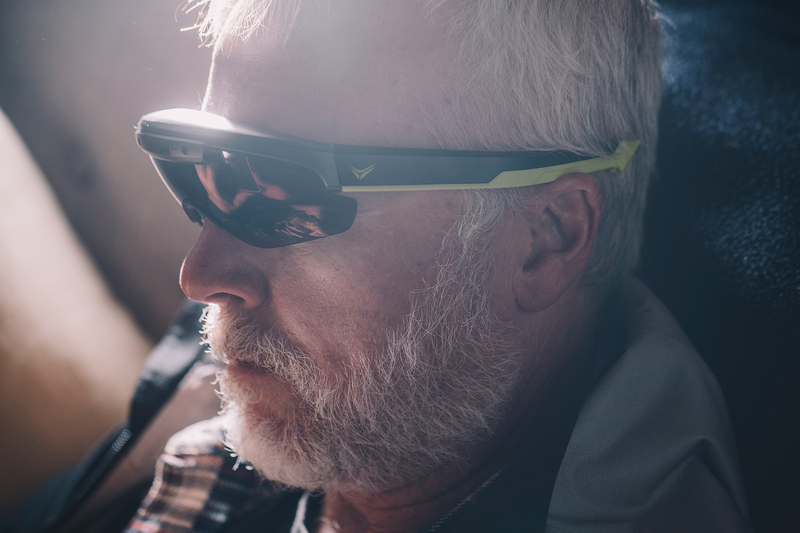 When Everysight showed me a prototype of the Raptor glasses at PressCamp last year and insisted I try it in a parking lot, I was at-best lukewarm about it. Sure, it sounded kind of interesting, but then there was the brand-new Factor O2 just one room over. I tried it anyway and the prototype worked rather nicely during that short test in the middle of Park City. I didn’t get dizzy, plus I even got a video of me riding with it. I didn’t give it much thought after the demo, because I just assumed it would disappear as quickly as it appeared. Just like the other glasses which have tried to catch on in this segment. Sure fighter jets have been using heads up displays for years (more on that in a bit). Jean Claude Van Dam wore one in Universal Soldiers, and so did RoboCop. But just ask Oakley, Garmin and Recon what happened to glasses. Heck, ask Google while you are at it. Both Facebook and Apple have been rumored for years to be working on something similar. The truth is, glasses with heads-up display, i.e. augmented reality glasses, are difficult to get right. And that is discounting trying to get them to look appealing. Everysight circled back earlier this summer and asked if I’d be interested in trying out the production version. I agreed to give it a “spin,” despite my less-than excited initial impression. With AR/VR getting all the tech buzz nowadays, would this finally work? Or am I subconsciously turning myself into a loud mouth Rapha-wearing glasshole in the Mission? Unboxing and setup was straight forward enough, using the companion app on my iPhone. I was easily enough out riding. At 100 grams, the Raptor weighs as much as three pairs of my favorite Oakley Radar EV Paths, but it’s not overly noticeable while wearing them. Everysight did a nice job at distributing the weight evenly. A thick top bar where Everysight houses the electronics and the OLED projector. See that trapezoid window in the center? That’s the proximity sensor. The one-piece grey-tinted lens, despite its aggressively slanted lens to accommodate the OLED projector, was also clear and distortion-free. But all these positive attributes shouldn’t come as a surprise, as Everysight itself was a spin off of Israeli defense contractor Elbit Systems. Elbit Systems just so happens to make way fancier helmets, including that $400,000 HMDS for the F-35 Joint Strike Fighter. Thankfully, the Raptor starts at a civilian-friendly price of $649 with 16GB or $699 for 32GB of internal storage. The Raptor accommodates the battery and the touch pad control interface on the right temple, making it an oversized plastic temple arms which felt stiff and boxy out on the road. But it was reasonably comfortable, thanks to the excellent grippy nose pad that serves as an anchor to the system. The temple pads could use some work, however, to improve its grip when wet. I was told that Everysight is planning to address the problem by including grip socks made by Lizard Skins. Do you like to stick your glasses on the helmet sometimes? Don’t even think about trying it with the Raptor. Its weight and slippery temple pad pretty much render that an impossible task. But whatever physical shortcoming the Raptor might have, the projected data in your face is an experience one should try. It is less intrusive than one might expect, and I certainly have gotten quite comfortable with it after a few rides. I used the “just ride” function for the most part, but maps and turn-by-turn instructions can be displayed on the screen. It’s rather useful while traveling so I can hop on a bike-share and have all the info right in front of me without fumbling with my phone. Speaking of the phone, it is worth noting that the Raptor, with its built-in GPS, can be used as a stand-alone unit. It can also use your phone’s GPS to save battery, but at the expense of your phone’s battery. In addition, Everysight also managed to stuff ANT+, Bluetooth and Wi-Fi connectivity into the Raptor. I was able to connect it with my Wahoo TICKR X heart rate monitor and both my Stages and Pioneer power meters without any fuss. The Raptor can also be set up to display calls, emails, texts. And if you really want to integrate everything the built-in speaker can play your favorite tunes as well. Despite its physical bulk, I found the Raptor to be inconspicuous. With everything displayed over its one-way lens where only the user can see the displayed information and all electronics contained within, it attracted very little attention on group rides, at least until we stopped for coffee. Images from the 13.2MP still camera are considerably flat straight out of the camera much like your typical point and shoot, but a bit of toning (as seen here) shows its surprising depth despite a very tiny imaging sensor. Having said that, I still prefer using the touchpad, especially when operating the camera for reduced shutter lag. By the way, make sure to put your helmet strap between the glasses and your face so it won’t interfere with the touchpad. I cropped this image quite a bit but it was still usable. Yes, it’s undeniably noisy, but also got a nice film feel to it. I came away impressed by the quality of its onboard camera. I had very low expectations of the image quality given its size, but still images from the 13.2mp camera were surprisingly good. The video function was okay. I wish I could record clips longer than a minute, even if it’s at the expense of reduced battery life from its 8-hour of use per charge via a hidden micro-USB port. I also appreciates the pop-up framing guide where I can get a sense of what my shot would look like. I did, however, have a few issues with the Raptor. First, downloading images and video from the Raptor was both easy and annoying at the same time. While I was able to download everything from its well thought-out phone app, I couldn’t get multiple photos and videos from one ride to download at once without having to reconnect it to my phone multiple times despite closely following the instructions and after a firmware update from Everysight. Second, I wish the camera housing sits flush with the frame, as I found it to easily obscured by elements when riding in less than ideal weather. In the end, Everysight deserves a lot of credit for cramming a functional bike computer and a projector into a pair of sunglasses. In such, it accomplished what many other brands had only dreamt of. It’s not perfect by any means, but it’s getting close. Do I really need one? That’s a tough call. 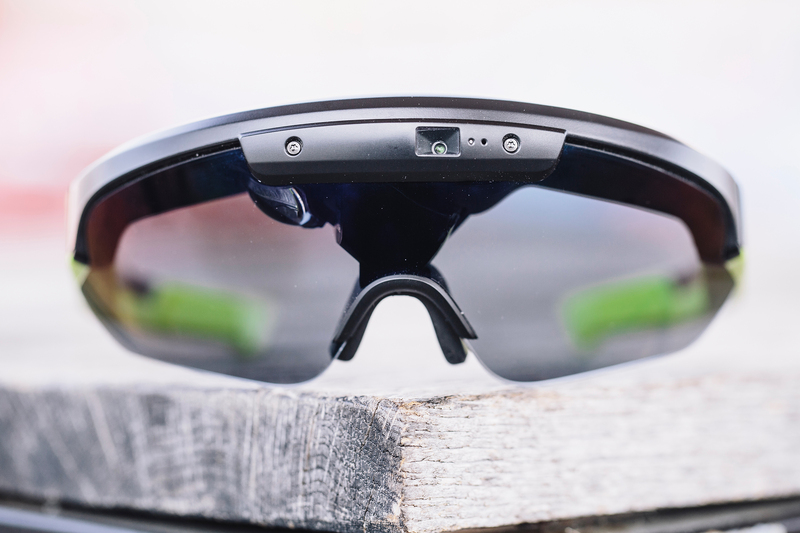 The Raptor is essentially competing against both bike computers and sunglass manufacturers by asking users to ditch their existing computers and beloved sunglasses. Not an easy pitch. Is it cool? You bet it is. The Raptor does what it’s designed to do so well that a data conscious, dare I say obsessed, athlete should find it to be an amazing tool. Imagine if Chris Froome wore one of these instead of having to stare at his stem every stage of the Tour de France. Having said that, there were definitely times where I purposely turned the display off during the course of a ride, but then again sometimes I purposely put my Garmin in my jersey pocket, too. With that in mind, the Raptor may have finally struck a note with cyclists. I think this is finally the technology-packed form factor that will eventually catch on and make it to the finish line. Inasmuch as I enjoyed using the Raptor, I don’t miss the luxury or had any FOMO when not using one. Some might find the Raptor life-changing and perhaps the joy of living at the edge of technology, but I, at the moment, still prefer my “old-school” Oakley Radars and Wahoo Elemnt. With such an immense initial offering though, I am excited to see what is next for Everysight and others entering this space in the future.